Toyota had their Back to the Future tribute with their “Fueled by the Future” video, but that wasn’t enough for them. 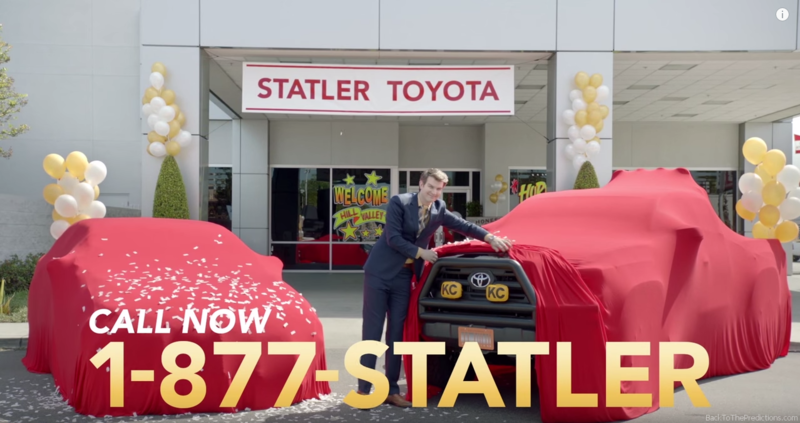 They also made a TV commercial for Hill Valley’s Statler Toyota. 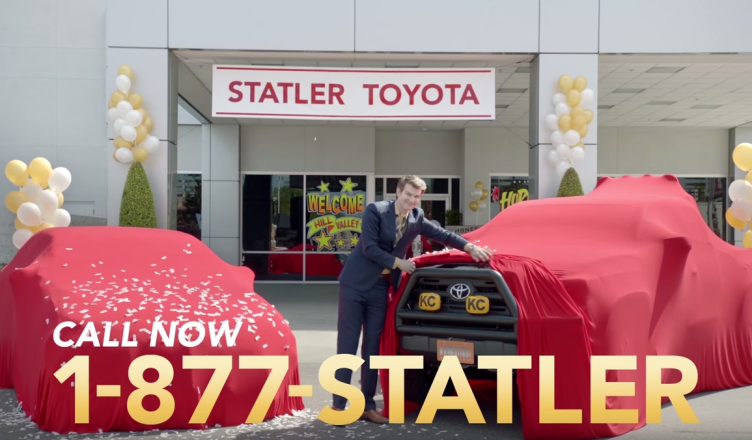 The commercial features “Jimmy Joe Statler” who promises that “your jaw will drop on October 21st, the day Toyota turns the future into a reality.” The commercial encourages people to call 1-877-STATLER with a jingle.